The first time I landed in Germany and tried to find my way to the car rental counter I kept seeing signs for something that read like it was pronounced "meat wagon" (Mietwagen) with a car symbol next to it; regardless of who I asked, they all said that was the place. I kept thinking to myself, "hmmmm, is the autobahn really that dangerous?" As it turns out, given the type of cars you can rent, it can be (but that's for another storypost). 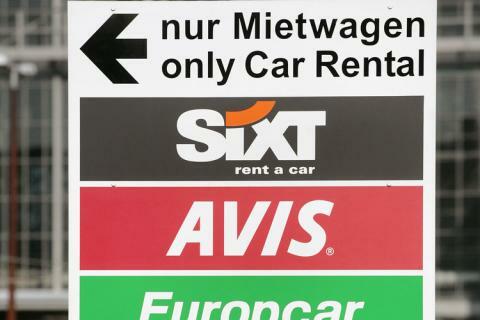 As I'm sure you've already guessed, Mietwagen is the German term used for rental cars (the literal translation is "hire car"). When I finally arrived at the counter (it's a fairly long walk in the Frankfurt airport) I was amazed at the selection of cars; everything was foreign. 🙂 You could rent a Mercedes, an Audi, certain Volkswagen variations that weren't available back in the US and more importantly, your could rent a Porsche. I was blown away. Without any hesitation, or even a though to a possible rejected expense account report, I immediately upgraded from my economy car (an oddly shaped and surprisingly underpowered Peugeot) to a 911 Carrera S. Let me tell you, this was one of my smartest decisions ever. To a Porsche buff very little can compare to that first taste of open Autobahn and the freedom of potentially unrestricted speed. Well, starting this week, if you live in Germany or plan on visiting soon, Porsche just announced that you can experience that same feeling in their new flaghsip, the Porsche Panamera. Available exclusively at Avis in Germany, the Porsche Panamera S and Panamer 4S can be yours for 189 euro ($278 US) for a day or 567 euro (equivalent to roughly the same price as a month mortgage payment on a small home) for the weekend. According to the release, the Panameras will have the standard direct injection, PDK, start stop technology and optional aerodynamics. However, for the time being, you'll have to travel to Germany for the chance at a daily rental and there is no promise they'll ever make their way into the US rental fleet.